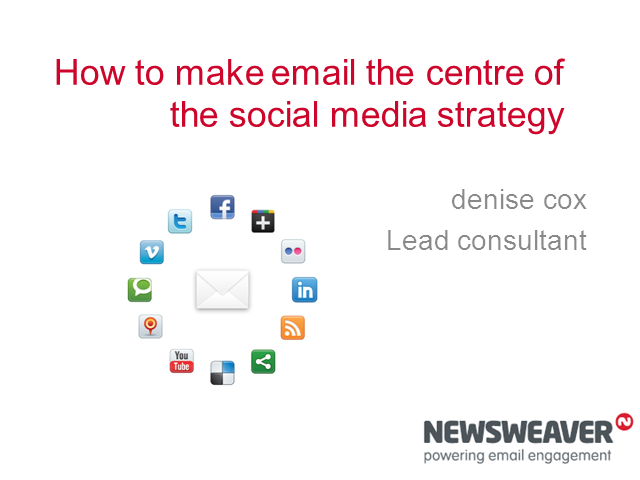 Email is a vital part of any social media strategy. It has the ability to lift marketing campaigns into the digital stratosphere. During this informative 60 minute webcast Denise Cox will show you how to align and integrate these two perfect partners into a winning marketing strategy. Denise will also demonstrate the business benefits that can be achieved using B2B examples.